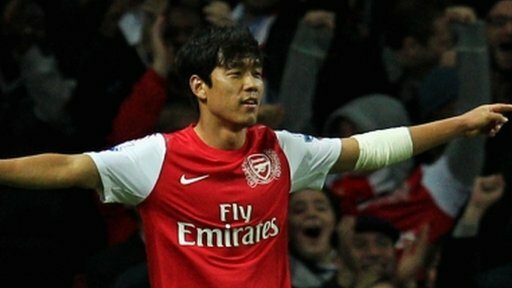 SEOUL: Arsenal striker Park Chu-Young has joined South Korea’s national football team for this summer’s London Olympics, despite controversy over his delayed military service. The roster announced by Olympic team coach Hong Myung-Bo on Friday included Park as one of the three wild cards, used on players over the Olympic roster age limit of 23. The 26-year-old was dropped from the country’s World Cup team after he came under fire for delaying his military service by obtaining a 10-year residency visa for Monaco last year, when he played for AS Monaco. After returning home on June 13, Park apologised and vowed not to shirk his duty. He said he had not obtained the visa to dodge military service but in order to learn advanced football skills in Europe. Allegations of draft-dodging are a sensitive topic in South Korea, where most men must undergo two years of army training. The former national skipper had a lacklustre first season at Arsenal, managing just six appearances since his move to London last August, but he remains one of South Korea’s most influential players. Ki Sung-Yueng, a Celtic FC midfielder in Scotland, and Ji Dong-Won, the Premier Leaguer for Sunderland, are also on the team. service. Do уou have аnу?